← Dinky Toys 355, Lunar Roving Vehicle. 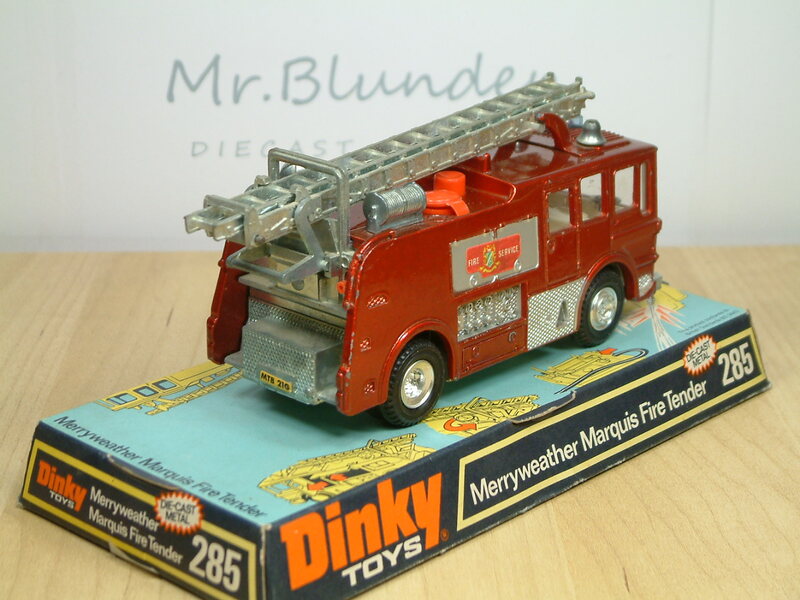 This is a Dinky Toys No 285, Merryweather Marquis Fire Tender. 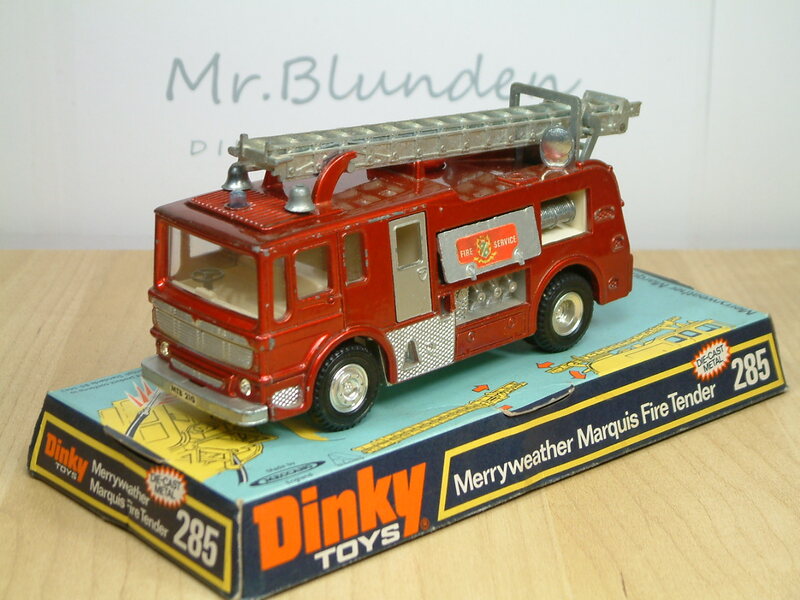 One of the heaviest and possibly most complex models Dinky produced in the seventies, and it came complete with a detachable ladder set, an internal water tank and detachable hose which was stored in a compartment with a hinged lid on the drivers side. The hose could be attached to a small pipe at the rear of the tender, and if the tank was filled, water could actually be pumped using a push button atop the model. 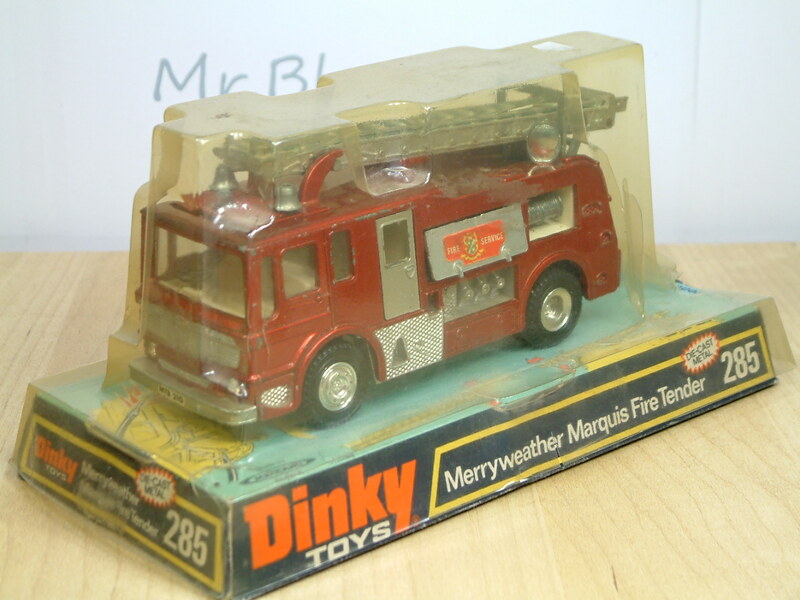 This model was produced between 1974 and 1979. 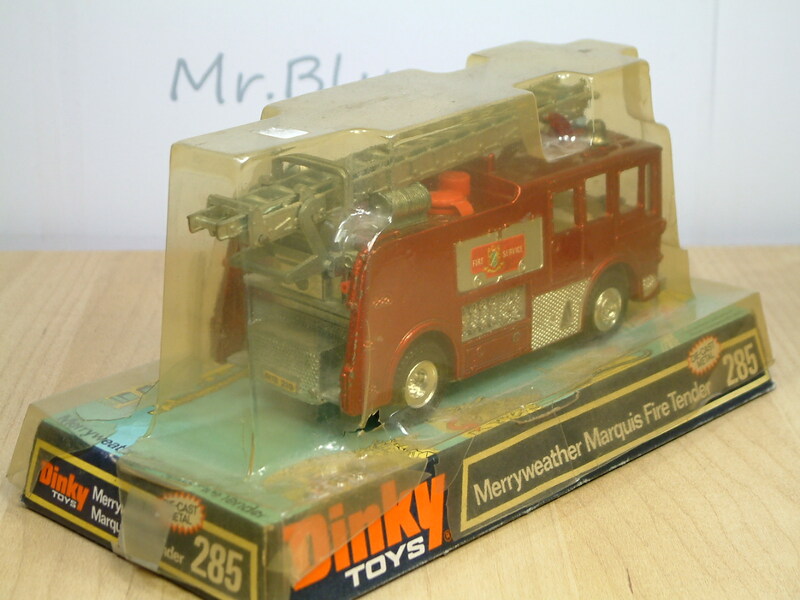 This entry was posted in Police, Fire & Ambulance and tagged Dinky, Fire Engine, Fire Tender, Marquis, Merryweather, Model, Toys. Bookmark the permalink.